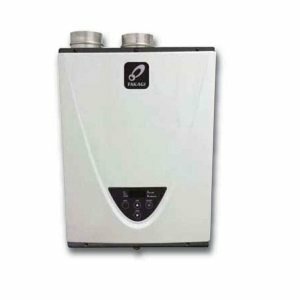 The hot water expansion tank is the pressure vessel that works as the safety device used in the closed loop heating systems, designed to receive an extra volume of hot water that has expanded due to increased temperature and pressure inside the tank. By installing one, the pressure and temperature get reduced, preventing the frequent relief valve dripping, elements malfunction and potential leaking. As you can see, it is necessary to install an expansion tank, also, it might be required by the local plumbing code. If you need help with the installation contact a plumber here. When the heater is running, it produces hot water. As the temperature grows, the pressure in the heating system also rises, leading to the thermal expansion inside the tank. In the closed loop system, that extra volume cannot go anywhere, and while the water is considered non-compressible, the thermal expansion will put additional stress on the heater elements such as the TPR valve and plumbing system unless the expansion unit is added. The relief valve will open frequently resulting in wasted energy and shortened life. More serious problems can occur with the gas heaters, where internal flues may collapse causing the release of carbon monoxide into your home. The compression type, also known as the plain steel, is the oldest type and it does not include the bladder. This is just an empty tank with the air cushion above the water, which, for the proper operation, must be controlled. The bladder type uses the bladder that keeps the water separated from the precharged air cushion. As the water volume increases in the storage tank, it is directed into the expansion tank, and as it contracts the fluid goes back into the heating system. The disadvantage of the bladder type is the potential corrosion of the tank, especially when exposed to the potable water. The diaphragm-type is designed as the container, divided into two sections, separated by a non-replaceable rubber diaphragm, which looks like a bag. The system water is contained inside the diaphragm and connected to the plumbing system, while the other side includes air under pressure. The advantage here is that the risk of corrosion is avoided as the metal tank is not directly exposed to the water. During the thermal expansion and volume increase, water enters into the expansion device, moving the diaphragm, which is compressing the air out and providing space for additional water. Any air coming with water is then removed from the system into the atmosphere. Depending on the capacity of the heater, the right size of the potable water expansion vessel should be used so it can safely deal with the thermal expansion. 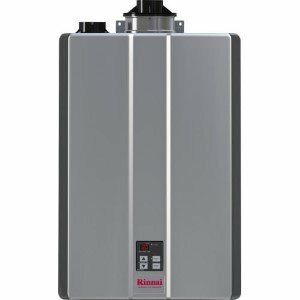 When looking to buy an expansion vessel, find out how large the tank your heating system requires. There is an excellent selection of the expansion vessels for water heaters on Amazon.com, including the popular Amtrol, Watts, and Falcon. 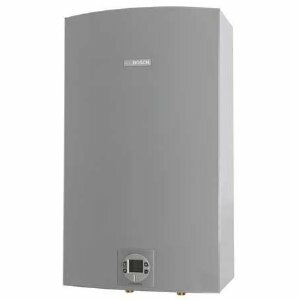 For the proper sizing, you need two pieces of information; the capacity of the water heater tank and the pressure of the plumbing system. Then go to the manufacturer site and select the device that meets these two requirements. You can also use this sizing calculator. Even if you install a device with the larger capacity, it won't hurt - it is better to oversize than undersized. An expansion vessel has to be installed on the cold water supply line. Follow the instructions provided by the manufacturer. It is a straightforward plumbing work of 30 min. installation, using the basic tools like the pipe knife, pipe joint compound or Teflon tape, wrench, solder, fittings, but it depends on the pipe type (copper, galvanized...). When installing the unit, the heater, water line, gas, and electricity have to be turned off to make the installation easier and safer. The best location is on the horizontal supply line and above the pipe, close to the heater and securely fastened to the wall or any other support. A Tee fitting should be installed on the pipeline, where one end is connected to the threaded part of the expansion vessel. Use the Teflon tape around the proper end and pipe wrench to tighten it to the plumbing line. 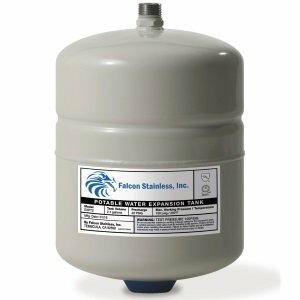 The potable water expansion tank must be appropriately charged with the air in order to function as it should. If for any reason you see that the pressure relief valve on a water heater is spurting water, or there is extreme pressure on the gauge, or expansion vessel is full of hot water than you are experiencing the unit malfunction. Turn OFF the heater and let the hot water cools down. Shut off the cold water supply to the heater. If you have to drain a system, do so. Unscrew the old heater expansion tank. Put the new expansion unit in the same spot. Use the Teflon tape and pipe wrench to tighten the unit securely. Turn the water ON and check for leaking. Turn the electricity and gas supply ON. Turn the heater ON, check the pressure and hot water temperature to see is your expansion tank working properly. As can be seen, installing an expansion tank can help your water heating system last longer and prevent damages on the elements due to extreme water pressure. Professional installation is recommended as it will ensure that the work has been done per local codes and that the manufacturer's requirements are met.